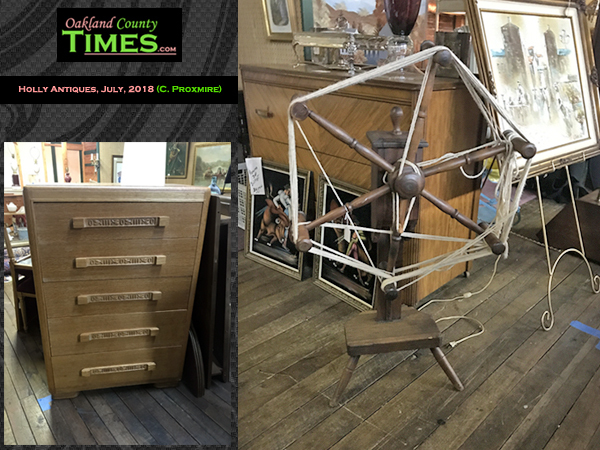 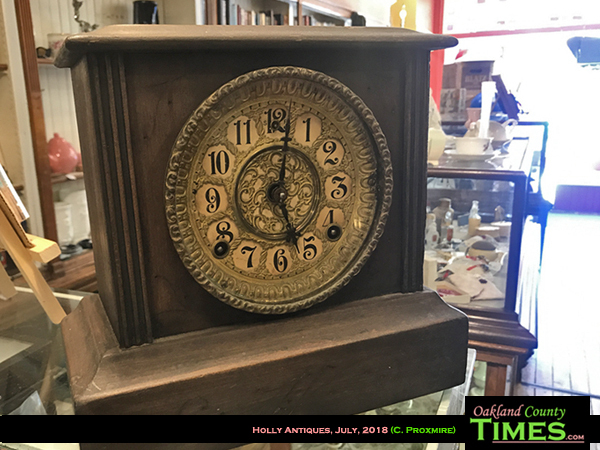 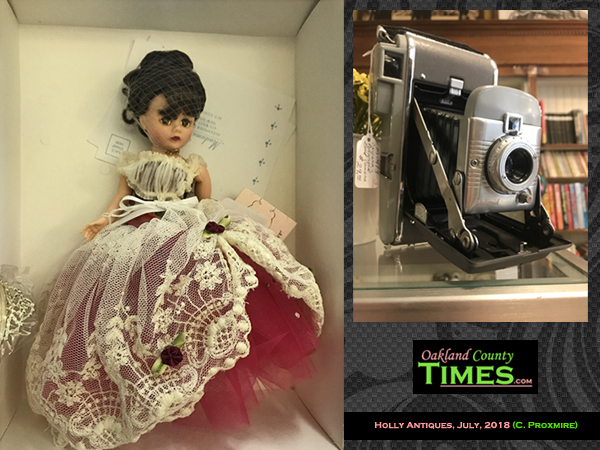 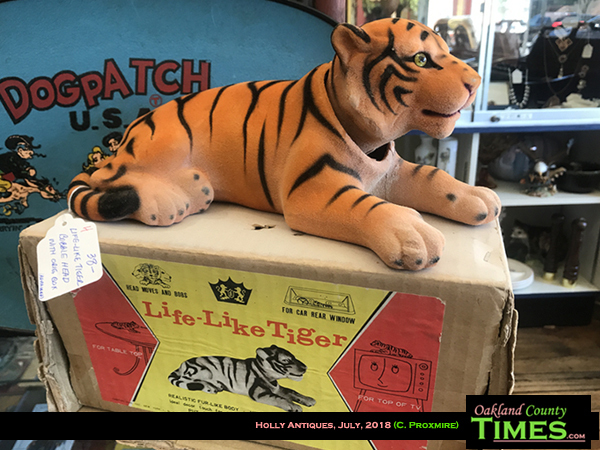 Holly, MI- Holly Antiques, located at 118 S Saginaw St in Downtown Holly, has been an advertising sponsor of Oakland County Times since they launched with new ownership in April 2017. 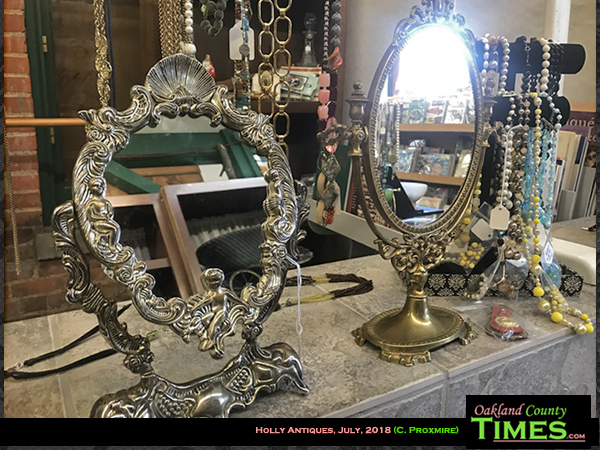 Every once in a while I like to stop in and see what new goodies they’ve gotten in. 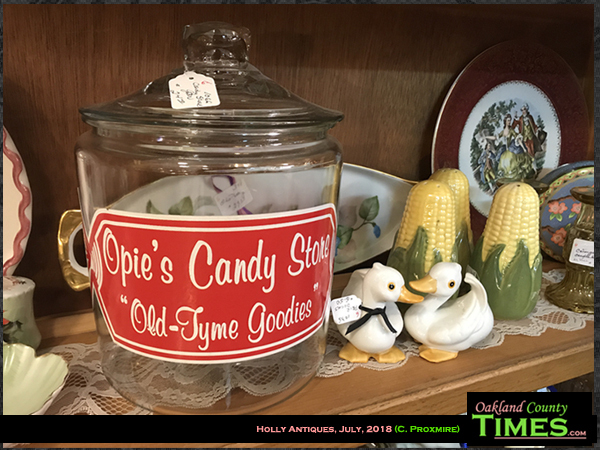 With multiple vendors on two floors there is always a good turnover of items. 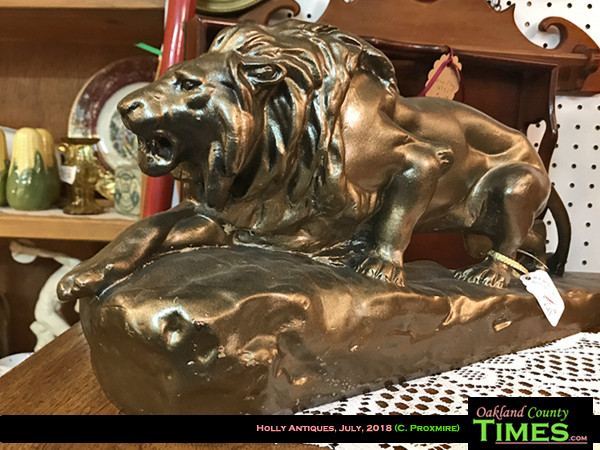 The antiques range in age and style – from old time toys, to furniture and home decor, to fashion items and more. 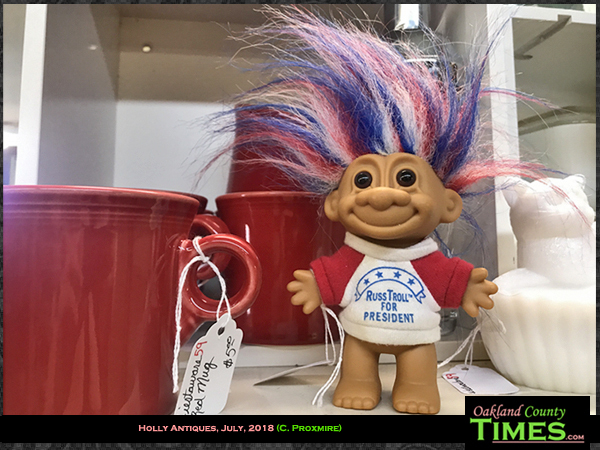 Plus it’s nice to browse in an air-conditioned place with a friendly, knowledgeable staff. 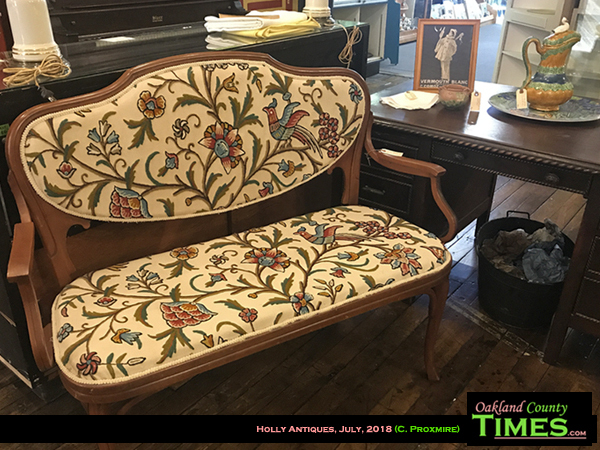 There were beautiful furniture items when I recently walked through, including an amazing two person seat with crewel embroidery on the seat. 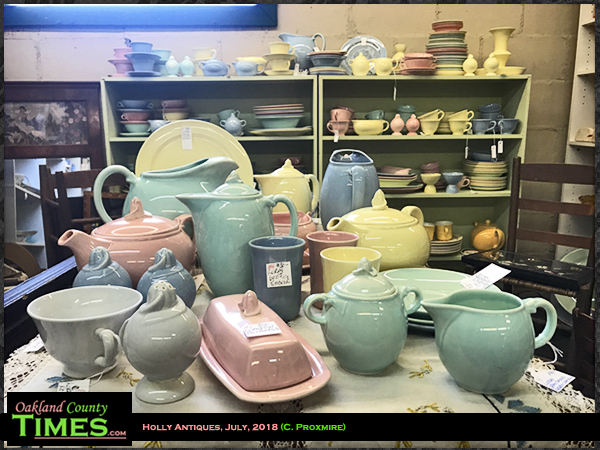 Something else that struck me as interesting was a booth full of vintage pastel kitchenware, a flood of yellow, pink, and blue from the 1940s known as Lu-Ray. 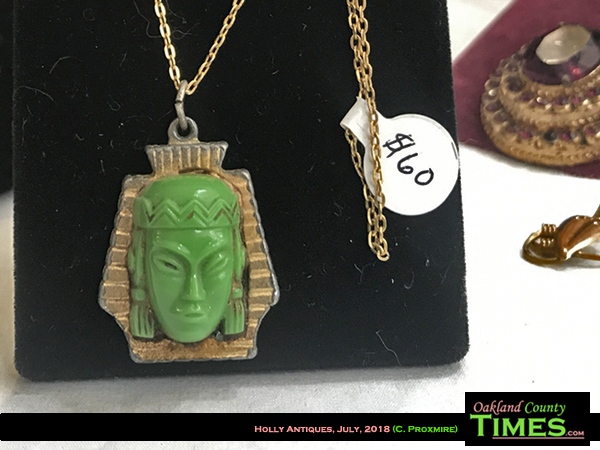 Any collectors would delight in the variety of pieces. 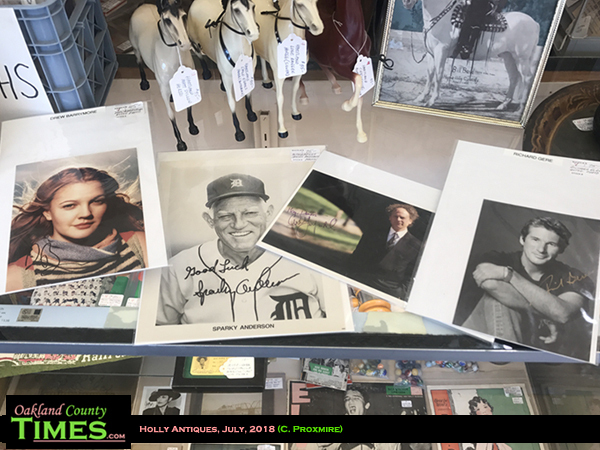 A new vendor at Holly Antiques has autographed items from celebrities across several generations. 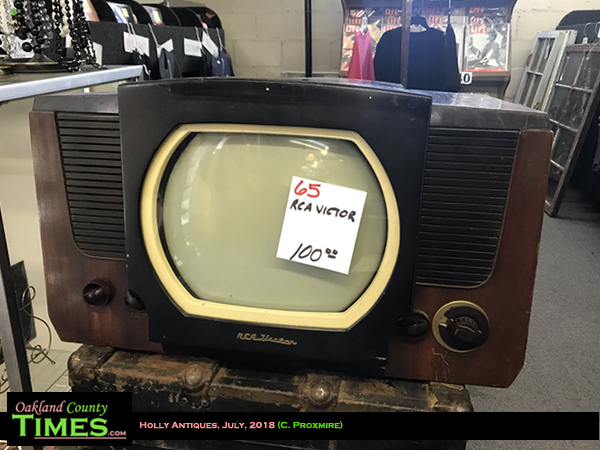 There was also a vintage RCA Victor TV, several antique cameras, and a collection of promotional lighters. 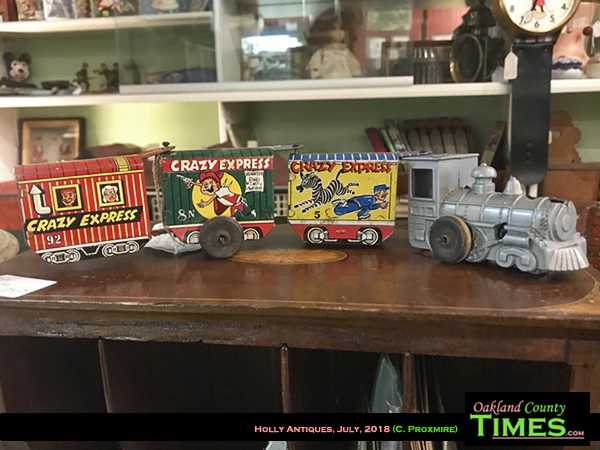 A tin “crazy train” toy also caught my eye. 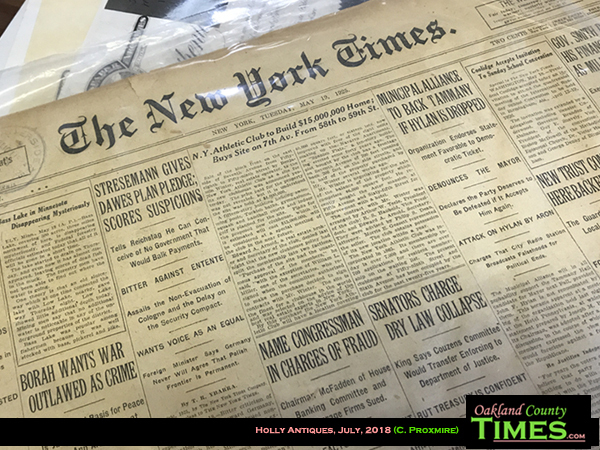 My favorite find though was a 1925 edition of the New York Times. 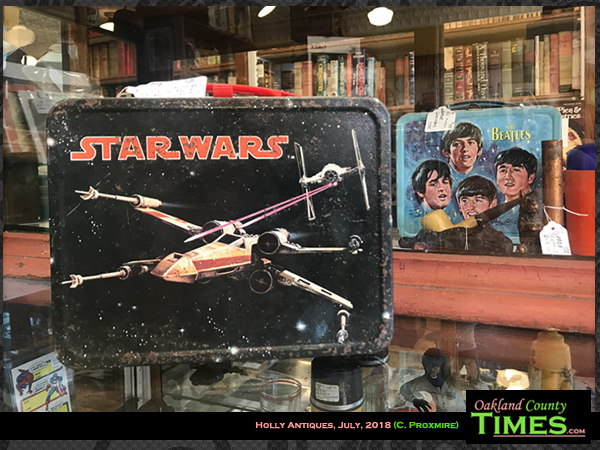 I bought that, so it’s not there any more. 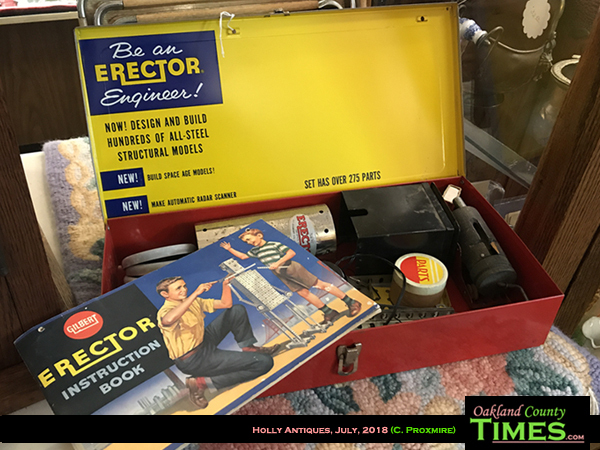 However, there are many books and magazines that folks might find interesting. 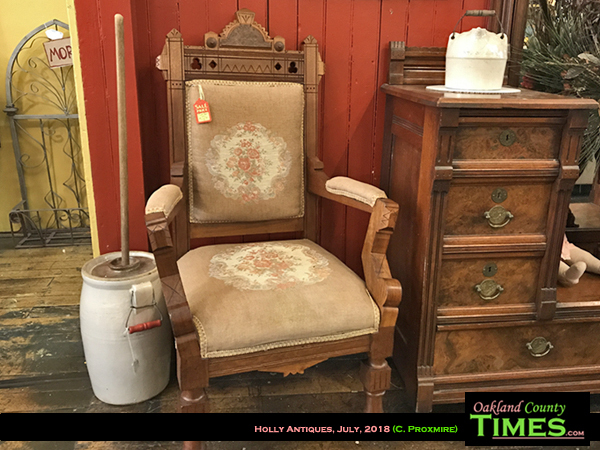 Exploring Holly Antiques is a fun way to travel down memory lane and find interesting items you may not even know you need. 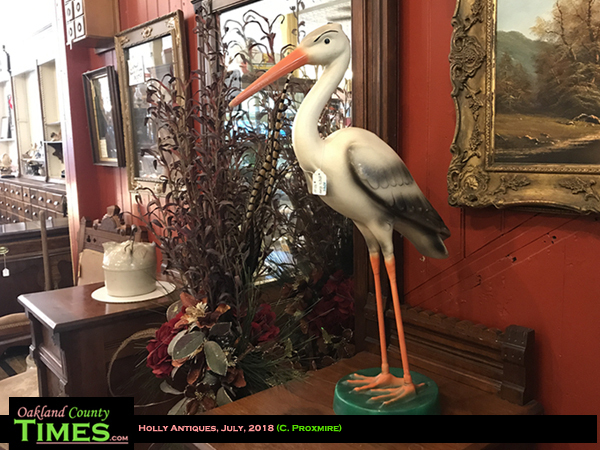 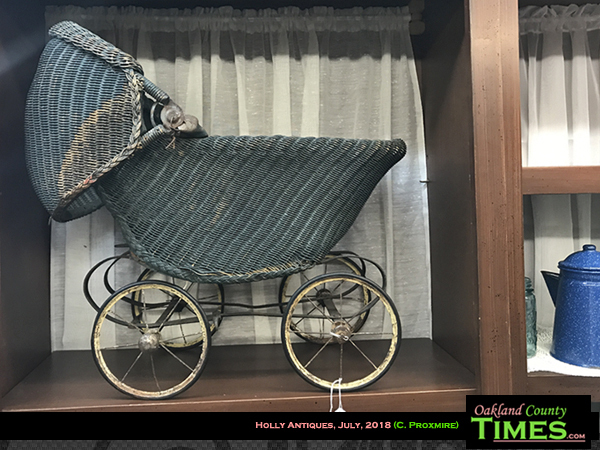 For those who have vintage and antique items to sell, Holly Antiques accepts consignment and there is booth rental space and display case space available. 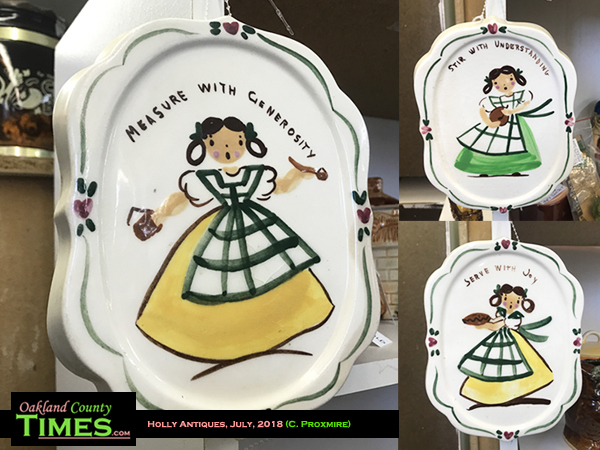 Check them out online at https://www.hollyantiques.com/. 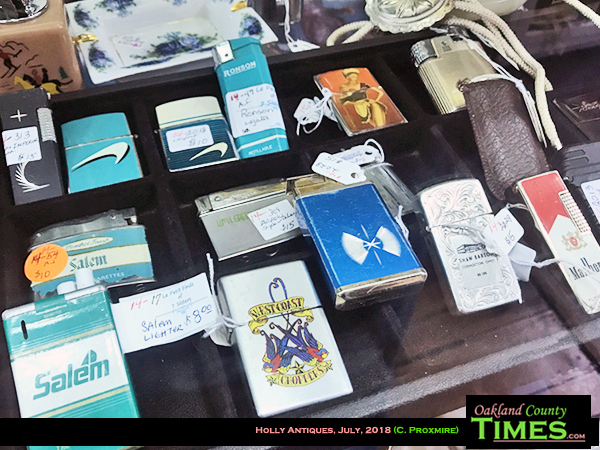 While you’re in Holly you may also want to check out Blumz which is right next door. 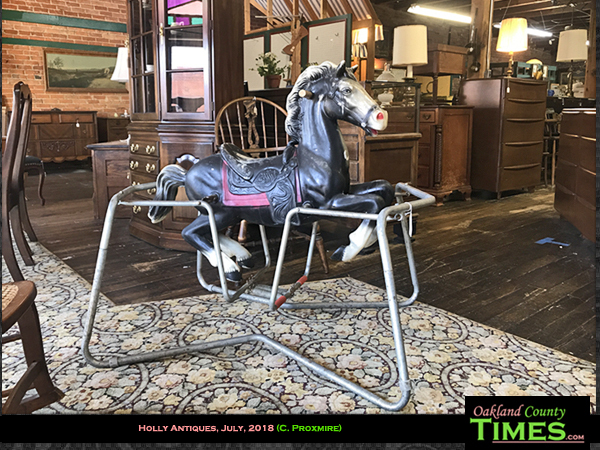 There’s also Holly Hotel for fancy dining or Andy’s Place for a casual drink and a good burger.